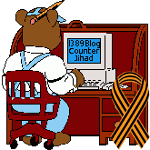 Students think John Boehner should resign because of ‘Deflategate’ — 1389 Blog - Counterjihad! This video promotes the Western Conservative Summit, which will be held at the Colorado Convention Center June 26-28, and the Youth Week, for students age 16-20, which will be held during the week prior to the conference. “Deflategate” is an American football controversy in which quarterback Tom Brady and the New England Patriots are accused of using footballs that were underinflated by NFL standards. John Boehner is a member of the Republican Party and is currently Speaker of the House of Representatives. While he has been a disappointment as Speaker of the House on account of his weak leadership and his frequent capitulation to the Democrats, Boehner has no connection with the NFL.